Our highly trained Mobile Patrol Security Guard will come to your site at pre-scheduled times or on a random basis to ensure that your property is safe and secure. Using state of the art handheld computers, they’ll electronically document when they arrived at your facility, where they checked and when they left. SecuriWORLD will then make all security reports available to you in real-time through our client web portal and email you all Incident Reports as they occur. Through our advanced time stamped patrol verification and reporting systems, you can be assured of our 100% commitment to your security needs. is a patrol conducted by a Security Guard at your site location to check for problems and perform requested services. Mobile Checks can be scheduled at the frequency of your choice, the most popular choice being every 2 - 3 hours. Mobile Checks are the alternative to having a Security Guard stationed full-time on your site location. It is the perfect way to start adding security measures to your organization before a full-time Guard is required. You can always upgrade to a full-time Security Guard as your need for security increases. Now it is easier than ever to quickly alleviate trespasser issues and prevent future incidents from arising with this affordable option. ~ Perform Lock and Un-lock services for buildings, Malls, Hotels, appartements, Parkades. It is vital to prevent trespassers from using your property for recreation or sleeping before the situation arises. When trespassers are interrupted on their first night, they do not become territorial about the area or make a habit of returning. 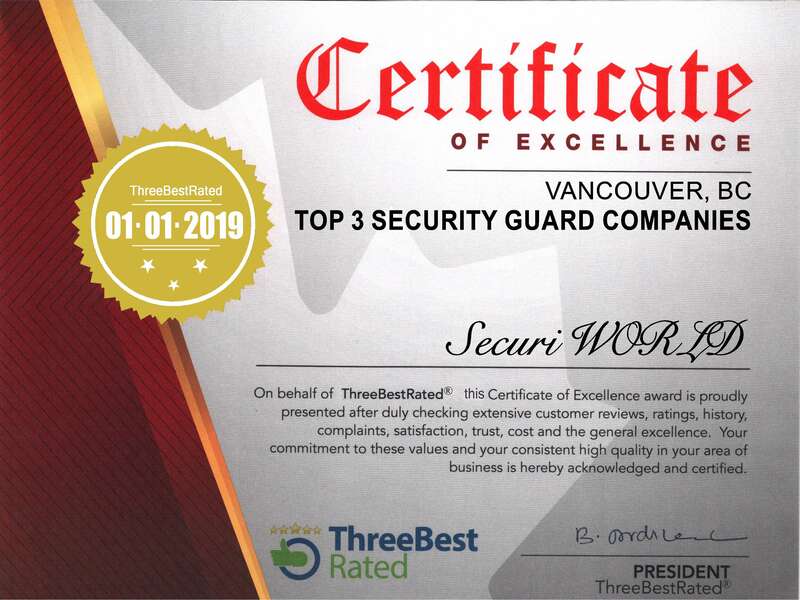 Our Security Company is licensed and experienced in performing these services within high crime-rate cities such as Vancouver, Burnaby, Coquitlam, and Surrey. At just $9.99 per Scheduled Patrol, SecuriWORLD’s Mobile Checks are the perfect solution for protecting your property and assets after-hours. We offer no-obligation contracts so that you can try our Mobile Check services risk-free. Our ability to implement start of service on the same day that you request it provides you with fast and convenient relief from trespassers and vandalism. Weekly Shift Reports allow you to see the result of each scheduled patrol and track the progress. Additionally, the Weekly Shift Reports include photos of any vandalism or property maintenance issues encountered by our Security Guards while on site. SecuriWORLD's Mobile Check Services are available in every city across the Greater Vancouver Area, the Tri-Cities and the Fraser Valley. Click here to Talk to SecuriWORLD's Security Specialist today to learn more.